What’s more, we only use non-toxic biodegradable detergents that act like cleaner/sanitizer and are perfect for hotels, hospitals, day care centers, health care institutions and more. And all in one swift operation, with no streaking, marring or discoloration of surfaces. All without the hassle, mess, inconvenience and unpleasant odors of painting and conventional washing. 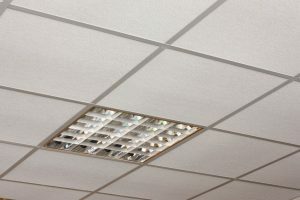 Without the enormous expense of replacing ceiling tile or repainting walls. And using only non-toxic, biodegradable, environmentally safe detergents.